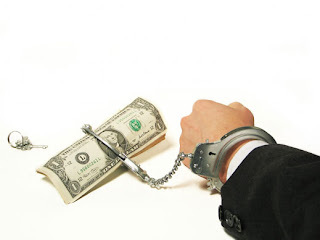 Crane and Matten blog: Britain's bribery shame to end? Britain's bribery shame to end? For the past few years, we have watched with sagging spirits the abject failures of the UK authorities to get to grips with overseas bribery by British firms. It's been a real stain on the reputation of the country, its rule of law, and its businesses. With the US pressing ahead with numerous convictions under its beefed up enforcement of the Foreign Corrupt Practices Act (i.e. any firm listed in the US is liable to prosecution for bribery wherever in the world it may have occurred), Britain has become something of an international embarrassment. So much so, that at the end of last year, the former head of Transparency International UK, Laurance Cockcroft bemoaned "Britain's bribery shame". "This extraordinarily feeble performance by the UK is regarded as symptomatic of a profound lack of commitment to addressing corruption. The report of the OECD working group suggests the UK government’s inaction is creating a situation where UK-based companies can behave with impunity in the payment of bribes to win overseas business. ... [Earlier] the OECD had raised the question of whether the UK’s failure was effectively “systemic”. This implied that the nexus of inadequate legislation, feeble prosecuting agencies and a political willingness to buckle to an ally (Saudi Arabia) made uncomfortable by a criminal investigation meant that the UK was totally unable to address corruption. This fear was quietly reinforced by the fact that in Transparency International’s corruption perceptions index, published in September this year, the UK fell from 12th to 16th place." We've talked here before about the huge BAE scandal in the UK, and the country's decline on the TI rankings. In the new edition of our business ethics book, which is just going into production, we explore the events in even more detail. But those of you that want the 2 second overview, the bottom line is that the Serious Fraud Office was forced by the British government to cave in on its investigation of BAE's alleged millions in bribes paid to Saudi Arabian officials after heavy lobbying from the company and the Saudi government. The whole episode spoke of a huge ethical failure - and even a wrenching of the basic rule of law. As Cockcroft put it (and he was among the more reserved commentators): "Ten years ago, the international community relied on the UK to be progressive in this arena. Now, disappointment at the lack of a serious stand has turned to disbelief, and disbelief to anger." Today though, comes news of a small but significant breakthrough, with the announcement by the SFO of its first conviction of a major British firm for overseas bribery. The firm, Mabey and Johnson, a signifant player in the world of bridge-building firm, was found to have paid bribes totalling £1m to foreign politicians and officials to secure export orders. Operated through covert middlemen, the bribes were paid to officials in a range of developing countries in Africa, Asia and the Caribbean. The SFO, learning something from its US cousins, tconcluded its first plea bargain type conviction which saw Mabey and Johnson slapped with more than £6.5m in fines and reparations to foreign governments. This can only be good news for the beleagured SFO which only a few months ago had been left dispirited and demoralized by the BAE failure. Its head and the main BAE investigator had both left the organization soon after the government had effectively closed down their biggest ever bribery investigation. Now, media reports suggest that the new director, Richard Alderman, may be ready to push for a plea bargain at BAE too. Today's news can only be welcomed by those of us with an interest in seeing the UK get back into the driving seat on dealing with overseas bribery. However, it will take more than one prosecution to wash away the shame of its pitiful performance over the past decade. The country's record of investigating and prosecuting bribery is still woeful in comparison to its peers – at the end of 2008, only two cases had been brought, compared with 103 in the US, 43 in Germany and 19 in France. Let's not pretend that this is because British companies are so much more honest when it comes to bribery than their contemporaries - it's more a case of them simply being able to get away with it. And realistically, only a conviction of BAE is going to change the perception of Britain as a soft-touch country, at least in the short to medium term. The SFO has little time to lose - especially if they don't want to be further embarassed by the Americans prosecuting the iconic British firm before they do. But it's still not clear if the ethics will simply get submerged by the politics again.